The Commonwealth of Puerto Rico Trademark Law of 2009 governs the registration of marks with the Puerto Rico Trademark Office. The law provides for the registration of marks used or intended to be used in Puerto Rican commerce. The Trademark Registrar restricts registration of a trademark that is geographically deceptive or includes descriptive terms. However, geographically descriptive terms may be registered if they have acquired distinctiveness and there is no relevant goods-place association. The law protects famous marks even if they are not in use in Puerto Rico by prohibiting the registration of confusingly similar marks and by protecting them against the likelihood of dilution of their distinctive qualities as a result of the unauthorized use of such marks in Puerto Rico. Registrations are in effect for ten years and may be renewed. A statement of continued use must be filed during the year immediately prior to the sixth and tenth years of registration. A grace period of six months is provided to renew a registration after its expiration date. A trademark that has not been used for three years is considered abandoned. A Trademark in Puerto Rico can only be registered with proven commercial use. If use is not proven, an Intent to Use application can be filed until proof of use can be provided prior to full registration. A Trademark Registration issued by the U.S. 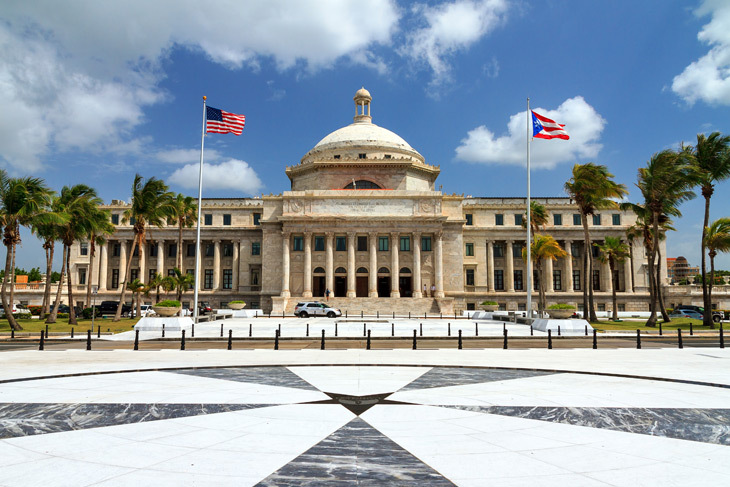 Trademark Office may also be enforced through the U.S. Federal Court in Puerto Rico. Trademark remedies include injunctive relief, seizure of goods, actual damages or statutory damages. Proof of bad faith or willful infringement allow treble damages at the discretion of the court. A temporary restraining order against an infringer is possible. History: An unincorporated territory of the United States, Puerto Rico is located in the northeast of the Caribbean Sea. The first tribe to inhabit Puerto Rico were the Arawak Indians who were replaced by the Taino Indians. The Taino Indians lasted on the island until 1508 when the Spanish began to settle Puerto Rico, known then as San Juan Bautista by Christopher Columbus. The Spanish controlled the island until 1897 when Europe granted Puerto Rico autonomy. By 1898 the Spanish-American War began, resulting in the island being put under U.S. law. Puerto Rico was eventually designated as an official commonwealth of the United States. Its capital is San Juan and the official languages are English and Spanish. Puerto Rico’s economy is driven by the manufacturing and service industries. Puerto Rico is home to the largest JC Penny retail store, as well as a very unique species of frog-like amphibian known as the “coqui.” The coqui is an important part of Puerto Rican culture and heritage and is greatly revered on the island. Because Puerto Rico is an unincorporated territory of the United States, U.S. citizens do not need a passport to travel there and back. 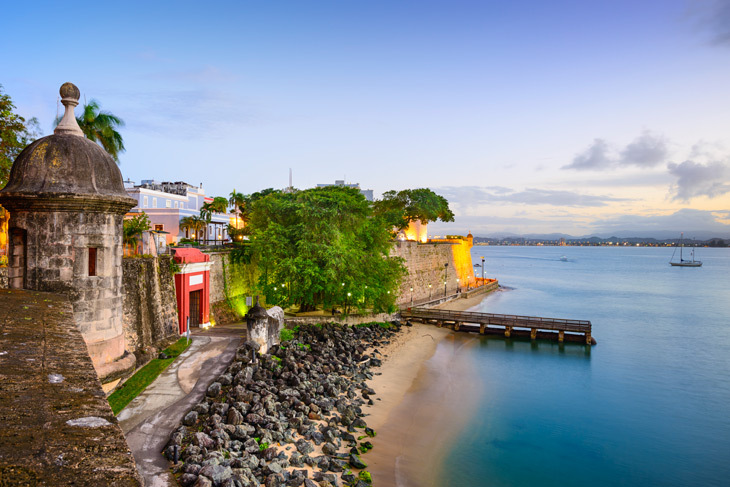 The addition of cruise-lines, air-fares, hotels, and things alike have begun to draw in many more tourists which has helped to strengthen Puerto Rico’s economy. Puerto Rico is home to the Camuy River, the longest underground river in the world located in the Camuy River Cave Park, a popular tourist attraction.